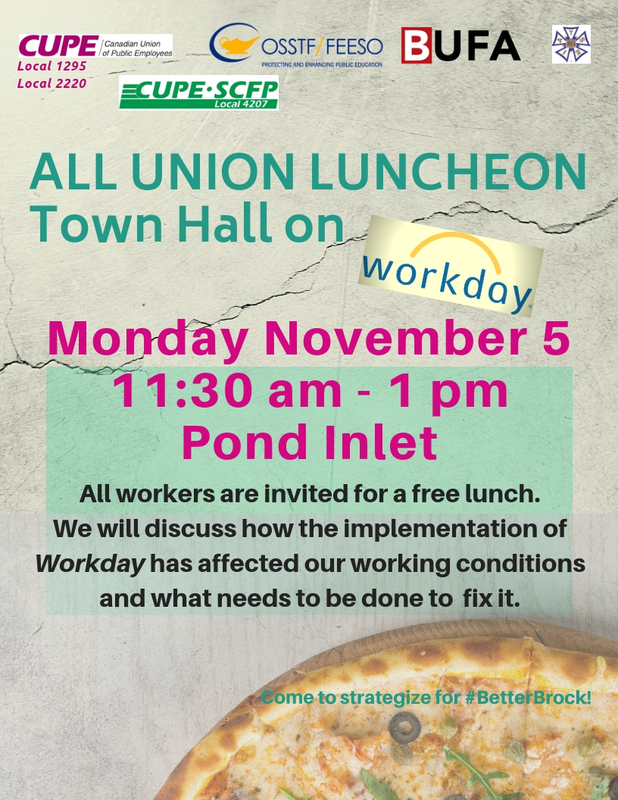 This is a luncheon for Brock workers to discuss Workday. We have been affected by this payroll/HR system implemented this summer to differing degrees, but with similar experience: frustration. This luncheon is yet another one we organize to bring workers together and to come to a proactive understanding of what should be done.